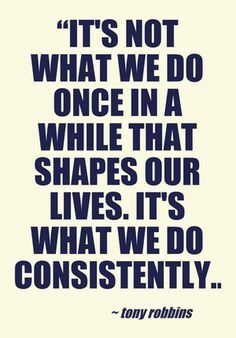 Success as a realtor is highly dependent on consistency. Year after year, a realtor must remain determined to further their own success through hard work and dedication. In addition, realtors should develop good habits to help make their work easier and more efficient. Certain habits have proven successful for all realtors across the board, and others can be developed with your own personal success in mind, utilizing what you know will work for you. Proper time management is a key essential to the daily work of a realtor. With research to do, paperwork to file and houses to show, realtors always have a heavy load to manage. Breaking time up into chunks that are dedicated to various tasks of the same or similar nature can remove a significant amount of unwanted stress from an agent’s day. By grouping together these simple tasks, they are being treated as important tasks that can be completed quickly and with an appropriate amount of focus, rather than with multiple interruptions throughout the workday. As a realtor, it is important to understand how to use technology to your advantage. 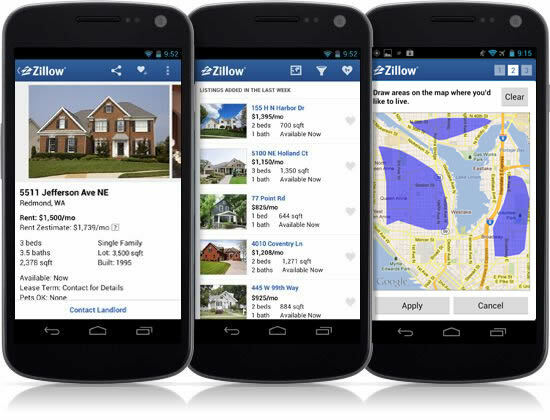 Websites and apps can greatly increase the amount of exposure a listing, realtor and real estate firm has. If sites such as Realtor.com, Zillow, and Trulia are used, they should be checked regularly to make sure information is up to date. Activities involving the management of these websites should also be scheduled into your day so that they do not become interruptions to other tasks. Technology can also be used to simplify filing processes and ensure that you are both more organized and more efficient. In the 21st century, many professionals are realizing that not using the latest technology will put them behind the competition, and this is no different with realtors. In any profession, including real restate, it is important to understand that asking for help is never a bad thing. There are many different day-to-day tasks a realtor must complete, and many find that delegating these tasks to others can be of great help. Such a system can also improve efficiency and team cohesiveness within a firm. Seeking assistance from others in different departments or even from those involved in firm’s internship program can be a great asset to all agents. Most importantly, when realtors are working together, they tend to be much stronger as a unit than they are as individuals. Individuality is what makes us who we are, and harnessing your own identity and strengths is a key component to a promising real estate career. Buyers and sellers want to connect to realtors on a personal level, and if you are committed to being yourself, this will come most naturally. These habits can be both learned and taught, and therefore it is possible to learn from others and teach yourself at the same time. You must remember, however, that while it may seem tempting to follow every rule of thumb that veteran realtors have shared, it is okay to pick and choose which techniques will work best for your clients. If something doesn’t work for you, it is okay to teach yourself a different way of doing things that will work more to your strengths. These techniques will become your trademark, and will also shape your reputation as a realtor. A positive reputation is absolutely essential to your success in the real estate world, as your reputation determines who will decide to work with you. Buyers and sellers, and even employers, will not want to work with or associate with a realtor who has a reputation for not getting the job done on time, producing low quality work, or being unprofessional in general. It is always of the utmost importance that you work on improving your reputation, however good it already may be! Your reputation is something that you should be working on everyday, in dealing with clients, completing tasks for the greater good of the company, or interacting with your network. This will ensure the greatest amount of success in your career, wherever it may take you. There are also many specific things that you as a realtor should do to help your clients, your firm and yourself. Returning calls, emails, and other forms of communication right away is absolutely imperative — clients want to be sure that their realtor is there for them whenever they are needed; buying and selling real estate is a momentous investment and they want to be taken care of. Additionally, by grasping a firm understanding of your neighborhood and its surrounding areas very well, you’ll have a better understanding of what your client is looking for and where they should be directed. Explaining precisely what you do is also important; you must remember that while you have a great understanding of the real estate industry and market, your client most likely will not. Walking them through paperwork and terms that are new to them will establish a better understanding between and build a strong foundation for the relationship. Finally, good agents are also always working to improve their network, similarly to how they work to improve their reputations. Your network is how you will connect to both clients and those involved in other aspects of the real estate industry. You as the agent should be at the hub of everything a client needs to be able to buy or sell real estate, and a good network will ensure your client will have the best connections available. The real estate industry actually becomes far easier to navigate once you have figured out the tricks of the trade. Making the best use of resources, being yourself and keeping up a positive reputation are merely the beginning. There is so much more that can be done to ensure your success, you only have to be willing to learn!